You’ve heard of Cambridge, haven’t you? Almost certainly so, because Cambridge is world famous. However it would probably not be the case, if it weren’t for the presence of the esteemed University of Cambridge within the limits of this ancient city. In fact, a recent poll that we conducted suggested that the University is the thing that 71% of people associate most with Cambridge. Surprised? We were a little too, we expected it to be high but maybe not quite that high. Cambridge University? Cambridge Colleges? What’s the difference? The relationship between the University itself and the colleges can seem confusing at first and we will attempt to explain it in more detail later. For now, we’ll just state that the University is made-up of 31 individual colleges, as well as numerous other departments and faculties. These faculties tend to be part of the University and not the colleges. That’s not to mention the other colleges in Cambridge that are in some way associated with the University but aren’t Cambridge University colleges, such as Westminster College, Ridley Hall, etc. More confused now? The fame of some of these University colleges arguably eclipses that of the University itself and many of the buildings that you might associate with Cambridge University (e.g. King’s College Chapel) are in fact part of and owned by different colleges. The Cambridge colleges are located all over the city but for the most part concentrated within the medieval city centre with some of the most recognisable in the area along the banks of the river Cam (known as the Cambridge Backs). They are as much of an attraction for visitors to the city as they are for academics and potential students. Many of the colleges welcome visitors, some charging an entry fee to those who wish to wander their hallowed halls and marvel at their well manicured lawns. Others are free to enter but just as welcoming. Some of the less well known or less frequently visited colleges may well require advanced notification if you are planning on visiting, especially if you wish to take any photographs. Either way if you are planning on making a trip to visit specific colleges, it’s a good idea to check in advance to make sure that they will be open to visitors at the time of your visit. Cambridge city is the administrative centre of the county of Cambridgeshire in England. However it started from far more humble origins, beginning life as a settlement in the 9th century, when the Viking conquerors of Denmark entered Eastern England. The original founders burned their home in the 11th century; later the Romans, Saxons and Normans all settled here and left behind their castles and churches, the latter of which can still be seen in this ancient city (e.g. 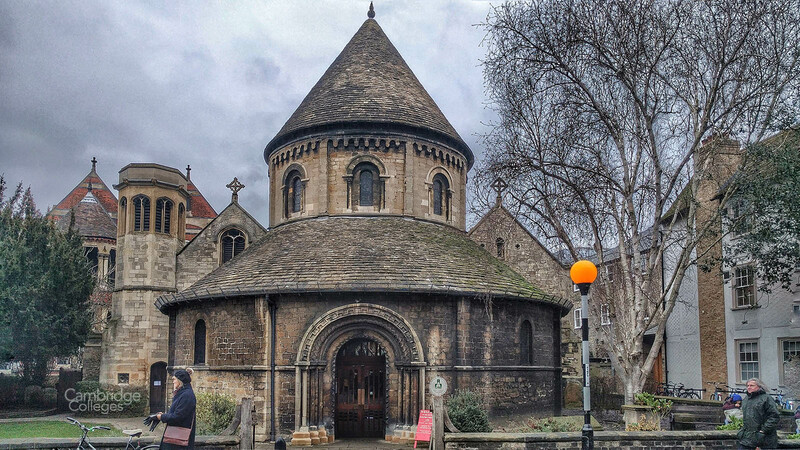 The Round Church, pictured below). The city is in fact a site of significant archaeological interest and new finds are often being unearthed. Whenever any new construction is to take place in the city centre, the site has to be checked first to ensure anything of historical significance has been dug up and catalogued to prevent it being lost forever under a new building. 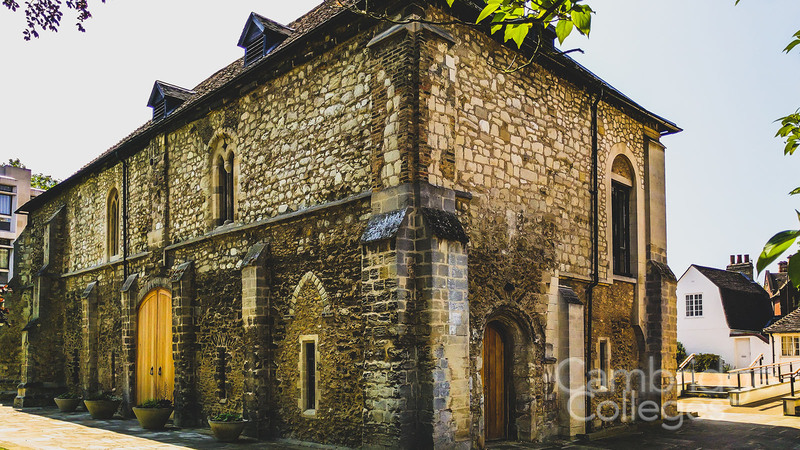 The first educational building was built c. 1200 AD and was known as the School of Pythagoras. The first seeds of what we now know as Cambridge University began in 1209 with the help, and under the guidance of some 300 scholars and academics of Oxford University (often referred to, half-jokingly, as ‘the other place’). In the early days of the University, scholars lived in houses and hostels around the city. The first college was not founded until the end of the 13th century, with the establishment of Peterhouse College. 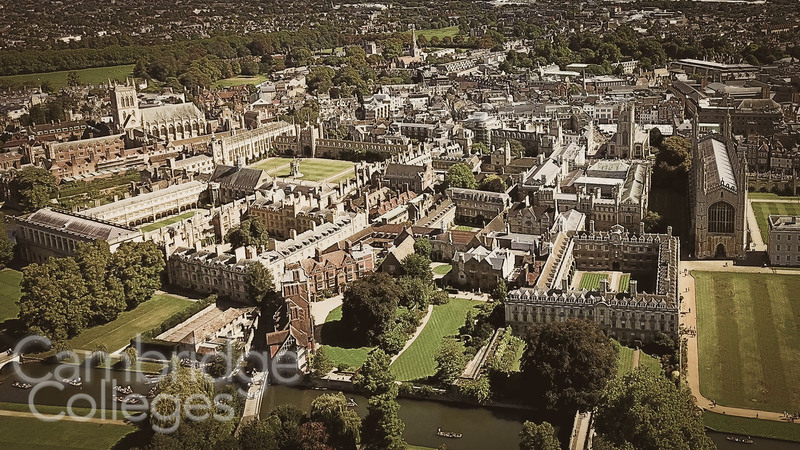 Cambridge history becomes ever more interesting throughout the centuries – in the middle of the 14th century the city lost more than a third of its population to the Black Death aka the bubonic plague. A number of the Cambridge colleges were established around that time, in an attempt to address the loss of skilled and knowledgeable practitioners in a number of learned trades, for example Trinity Hall to educate lawyers, Corpus Christi to train priests, etc. Fortunately, the population and the city revived and bounced back. The early part of the 15th century saw a number of colleges founded in Cambridge and a wool industry also came into being. The sixteenth century saw the emergence of the Cambridge University Press, which published its first book in 1584. No visit to Cambridge University, would be complete without experiencing some of the constituent colleges. However, with 31 to choose from, it might be difficult to know where to start. The river Cam runs through the grounds of all of the above and they can be visited on foot or seen by taking a punt trip along the river, which is an ever popular activity for students, tourists and residents of the city. Away from the river, not far from King’s, you will find Corpus Christi College, with its now famous Chronophage. The college reputedly has the oldest courtyard of the entire university, dating back to the 1350s. All of Cambridge University’s museums are free to enter. Not everyone may be gifted enough to study at Cambridge, but that does not make it impossible to immerse oneself in the atmosphere of this glorious institution and the city that surrounds it, and perhaps draw some inspiration from it by doing so. The relationship between the colleges and the university itself can be somewhat confusing and understanding where college starts and university ends is a little tricky. 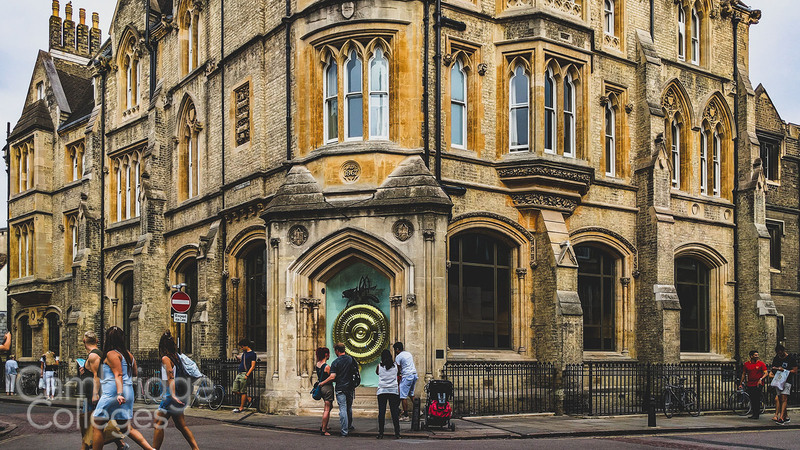 According to the Cambridge University website, the colleges are where the students live and socialise, and also have teaching sessions in small groups (known as supervisions). 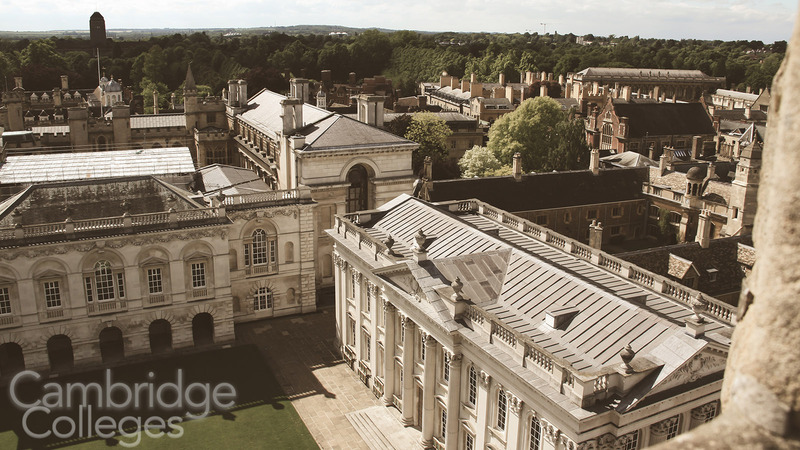 Each of the Cambridge colleges is an institution in its own right with its own budget and funding sources, but teaching is shared between the colleges and the university. Students apply to the college(s) of their choice and not the University and entrance to both Oxford and Cambridge is not via UCAS (the Universities and Colleges Admissions Service) which manages all other university applications in the UK.